Beetroot Juice: Can It Really Boost Your Blood & Performance? Mom always told you to eat your beets. As usual, her instruction was on point. The health benefits of beets are well documented, but there’s a new trend on the performance-enhancing block in the form of juice — and not the illegal kind. 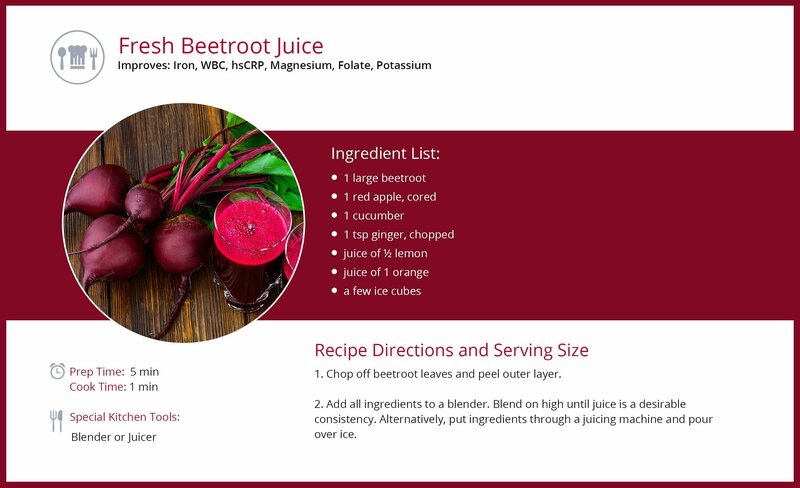 Beetroot juice is all the rage these days, and it turns out it could be the key to unlocking increased speed and endurance in everyone from weekend warriors to seasoned pros. Beetroot juice also packs a powerful cardiovascular health punch. That makes it the perfect topic for February’s theme of red: there's Valentine's Day, National Heart Health Month, and of course, February 5th was National Wear Red Day, the American Heart Association’s annual initiative to raise awareness about heart disease and stroke in women. Whether you decide to wear red or drink it, there’s more than one reason to try beetroot juice. We've even created a recipe so you can make your own!